“Seidman” has received two honorary mentions at the Rainbow Awards! So yesterday the winners of the Rainbow Awards were announced. The Rainbow Awards are given out by a panel of judges (quite a large panel, in fact) on the popular Elisa Rolle review site. I don’t know how many years they’ve been going on for now, but they’re pretty big, with a huge list of books in the competition, so it’s really an honor to win. In honor of this, my publisher has discounted Seidman by 25% for the entire week at All Romance eBooks! 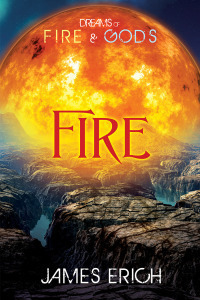 In other news, Dreams of Fire and Gods: Dreams has gone into galley proof, which means that it’s mostly done — we’re just checking over the formatted novel for typos and other errors. It will be available on December 15th! So come and say hello! And win free stuff! We’ll be giving away a free eBook copy of Dreams of Fire and Gods: Dreams, as well as some original sketches of the main characters, Sael and Koreh, by Beau Shemery! I think it’s from 1pm EST to 6pm EST, but I’ll double check that and post the hours here again, when I’m more certain. The first Harmony Ink chat was yesterday, featuring Beau Shemery (in his author guise, but with plenty of giveaways of his sketches), discussing his steampunk novel, The Seventh of London, and it went pretty well. Lastly, I’ve submitted Seidman for consideration in the Lambda Literary Awards. As they say, you can’t win, if you don’t enter. The competition is steep, but the award is prestigious. Even being a finalist would be amazing! This entry was posted in Awards, Fantasy, Gay, History, Iceland, Rainbow Awards, Reviews, Romance, Viking, Writing, YA and tagged gay, honorable mention, honourable mention, Lambda, LGBT, Rainbow Awards, romance, Seiðman, ya. Bookmark the permalink. ← Dreams of Fire and Gods: Dreams has a cover! Well deserved! Would have loved to see Seidman win though.